Folks, a number of ye have reported that the videos are not playing correctly. We are working to fix this problem. Thanks for your patience. 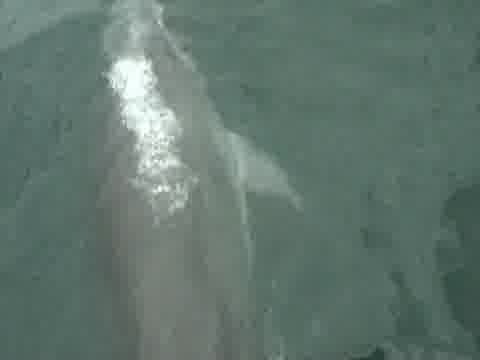 Have a look at this great 22 second clip of a two bow-riding Bottlenose dolphins Laura caught on film in Culdaff bay when out on the Barracuda. Low quality: Low-res version still being made! 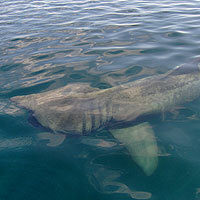 Check out this amazing 17 second clip of a huge basking shark Daniel filmed off Inishtrahull while we were out on the Barracuda with skipper Des Mills. Special thanks also to Michelle (Gallen) for helping us convert the video. Be sure to check back again soon, more videos will be posted shortly.